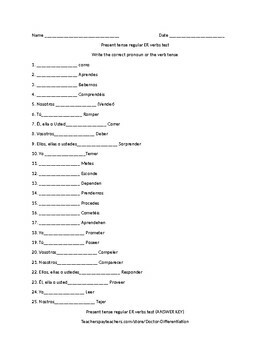 25 question test that tests student knowledge of present tense ER verbs and the associated pronouns. 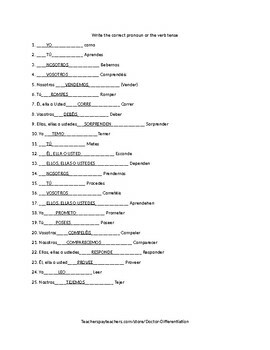 Perfect for Spanish I (end of a unit) or Spanish II (beginning of the year). Great product for tutoring!